Fayose to Obasanjo: Clear Your Name, Don’t Be Afraid Of Arrest, Trial – Ekiti State Governor, Mr. Ayodele Fayose, has said that former President Olusegun Obasanjo should rather be ready to clear his name of any allegation made against him and stop raising alarm on plot to arrest and try him. “when other Nigerians were at the receiving end of President Buhari’s dictatorship, Obasanjo was going in and out of the Presidential Villa. “Where was he when Col. Sambo Dasuki (rtd) was arrested and detained since 2015 despite court orders for his release? When over 1,000 members of the Nigeria’s Islamic Movement were killed in Zaria and their leader, Ibrahim El-Zakzaky arrested and dumped in detention since 2016 despite of court orders, what did Obasanjo do? “Obasanjo lacks moral rights to complain about Buhari’s government because himself and the President have been partners for over 40 years. It was when President Buhari served as Minister of Petroleum and NNPC Chairman in 1977 under Obasanjo that N2.8 billion oil money went missing from the accounts of the NNPC in Midlands Bank, United Kingdom. 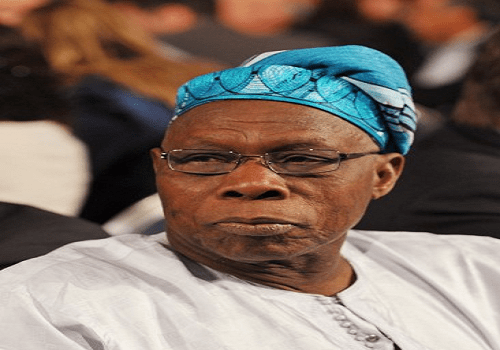 “Both Buhari and Obasanjo are already spent forces and have gone senile.